I have a DAMn secret to share — the DAMn race is just over 2 weeks away!! — but first let me give you a little background about some of the aggressive goals I had for 2017. None of these things will obviously happen this year, and I’m trying not to dwell on it as I’m recovering from surgery. I’ve shed many tears over the loss of my 2017 season. Hell, I even got a little choked up when perusing the DAMn website and realized my name is no longer on the roster. I’m rebuilding my body, showing steady and excellent forward progress after surgery, and making new goals constantly (that’s for another post on another day). The loss that’s hit me the hardest isn’t on the list of “official goals” — it’s my inability to mountain bike with my 8 year old. 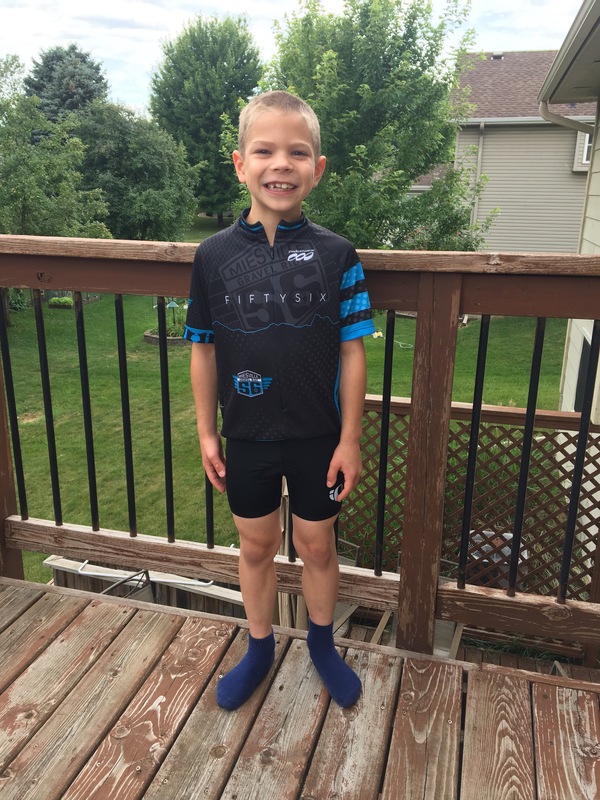 Reports are he’s getting faster than ever, passing other adult riders at times when he’s motivated, and crushing more obstacles — more than his mom could ride last season!! I’m so proud of this kid, but what mom isn’t proud and gushing over their kiddo’s achievements?! The tiny mountain bike crusher! I’ve been blogging more plus I’ve been more active on social media while I’m laid up to help but it’s not the fix I need from the cycling community. 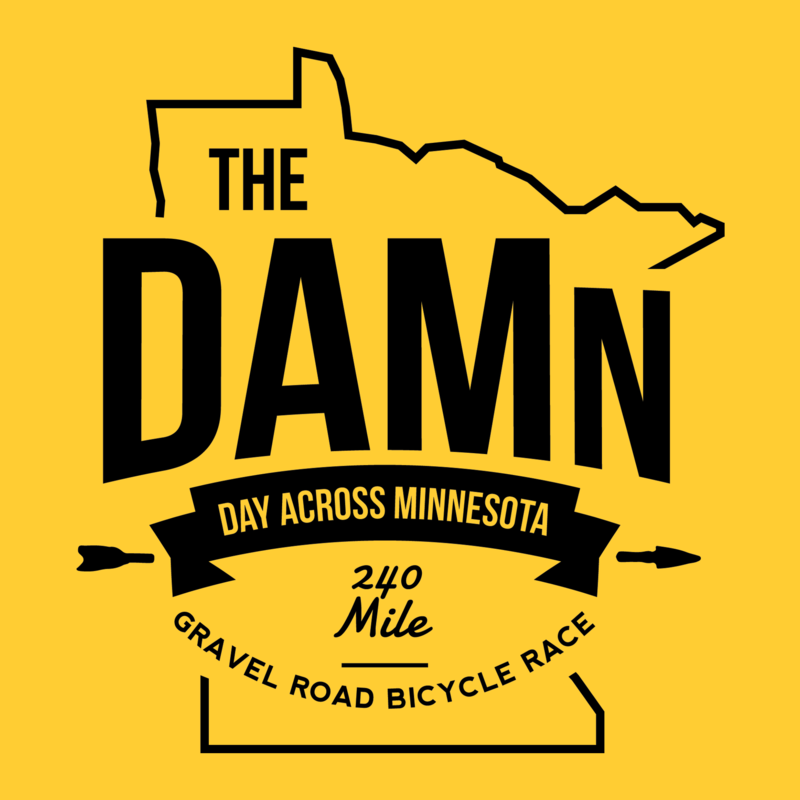 I’ve been conspiring with Trenton on some way I could participate in the ‘Day Across Minnesota’ or the DAMn. It was my primary personal goal for the 2017 season, and after crushing a ride across Iowa in a day (on pavement) last year, I wanted to follow that up with gravel in my current state of residence. The next best option I pondered was to crew or at least be SAG for friends, but I don’t feel like I’ll have been driving long enough (maybe a week? but more likely just a few days?) to be confident in my ability to drive halfway across the state if needed to rescue a rider. Based on this, we hatched a plan. I will be at DAMn Checkpoint #3 for as long as my back allows that day. I’ve been sworn to DAMn secrecy — I can’t tell you where it’s at, or how far into the race it is, but I can say that I’ll do my best to be there to cheer you on, give you high fives, receive gross sweaty hugs, or just commiserate on how the conditions are or hear how amazing your ride has been so far. It’s important to note that I’m way more introverted than my online persona would lead you to believe, so get boisterous, say hi and introduce yourself (for the first time or the fifth time … I’m an idiot with names and faces) and help this girl live vicariously through your DAMn day on the bike. If it helps inspire you to push just a little harder or a little faster in the hopes of seeing me before my back gives out, then good – I’ve done my DAMn job!